The island of Jamaica is about 50 miles wide and 150 miles long. Its north coast is about 100 miles south of Cuba and 100 miles west of Haiti. 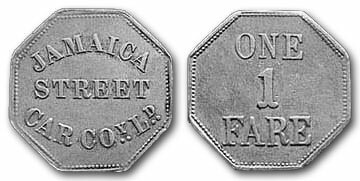 Jamaica was a British colony from 1655 until 1958; it became a fully independent state in 1962. 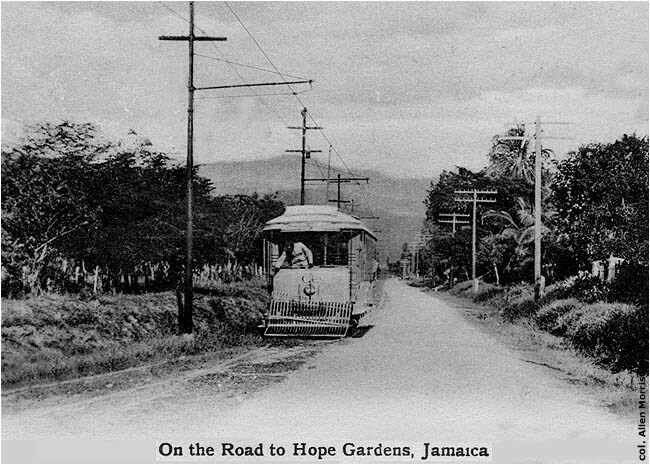 A steam railroad that opened in 1845 between its capital, Kingston, and Spanish Town was one of the first railroads in the Americas, preceded only by lines in the United States, Canada and Cuba. 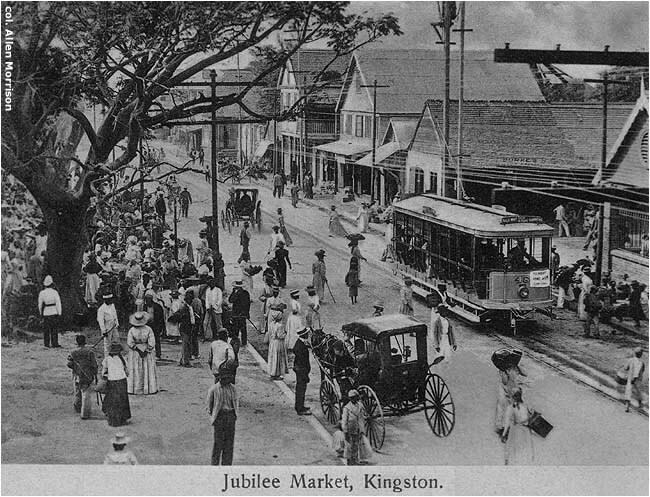 Kingston's population was approximately 50,000 in the 1900s. It is about 100,000 today. 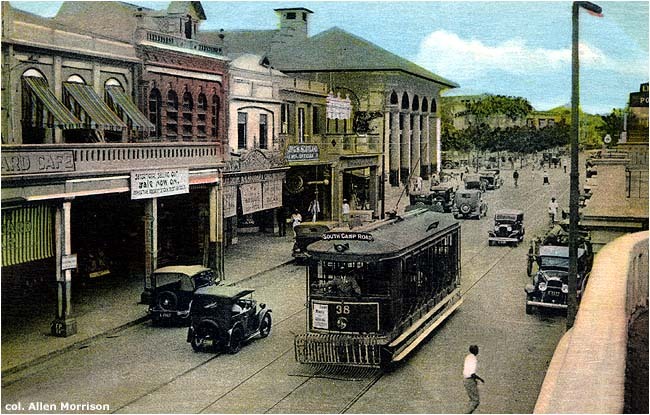 Jamaica Public Service Co. closed the Kingston tramway system on 10 May 1948. 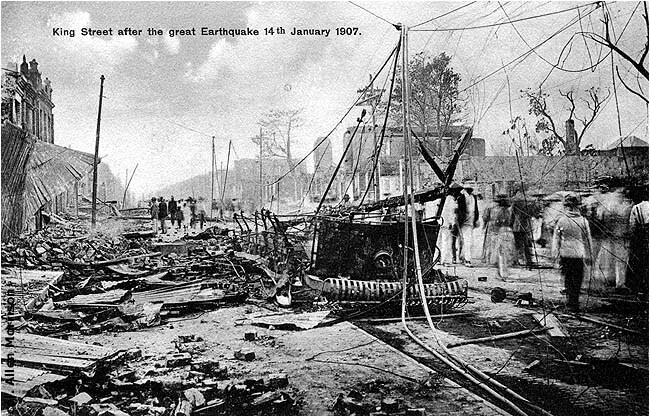 JPSC claimed that it could not afford to maintain the right-of-way or construct needed extensions. The entire system, all lines, ran until the end. 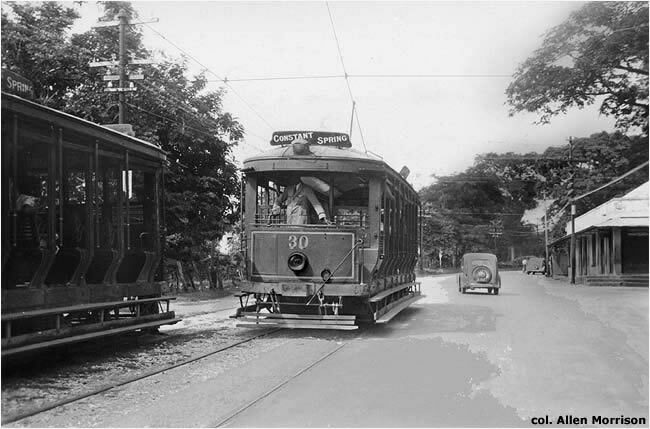 Company records indicate that, because of a public protest, the Rockfort Gardens line [see map] continued operation for a few more months, until approximately August 1948. Detail of the previous photograph. 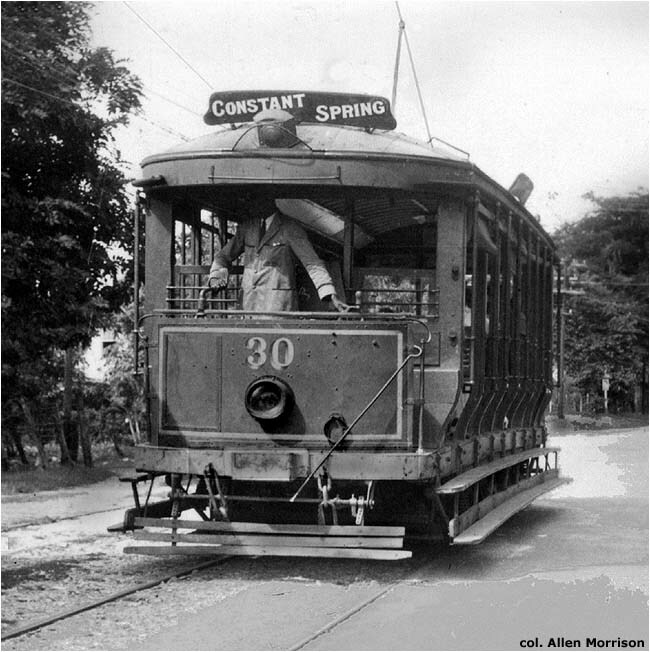 An unusual aspect of the Kingston tramway was that all its passenger cars seem to have been identical – and remained identical and unchanged throughout their lives. They were superbly maintained, but were all sold for scrap in 1949. What a shame that one of these magnificent vehicles – 50 years old but as good as new – was not preserved! H. Holgate. 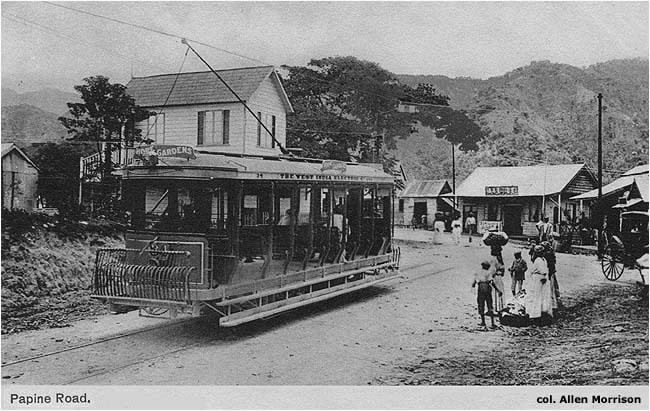 "An Electric Tramway in the British West Indies" in Cassier's Magazine (New York), 11/1898, pp. 74-82. Description of the power plant. 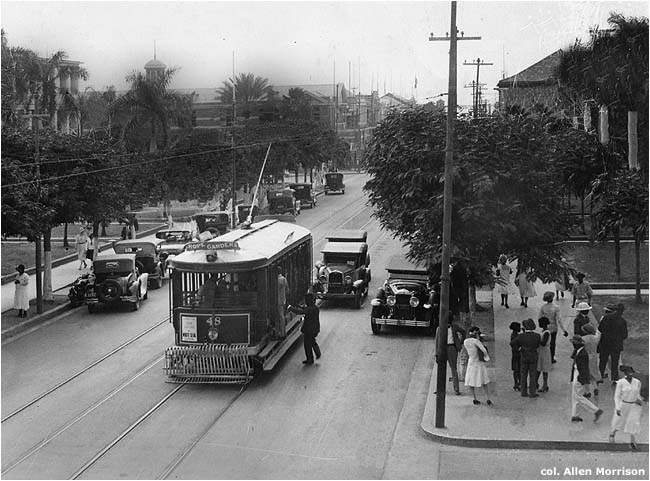 Not much about the tramway. 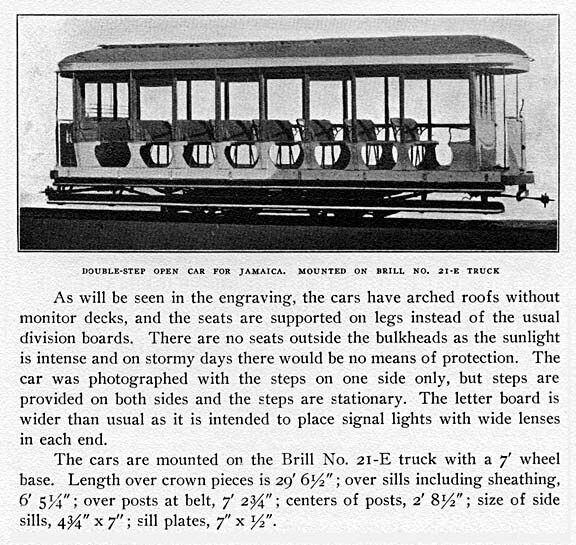 "Open Cars for Kingston, Jamaica" in Brill's Magazine (Philadelphia), 5/1907, pp. 90-91. Interesting description of the Kingston model. An excerpt is reproduced on this page. Great Britain. War Office. Geographical Section. 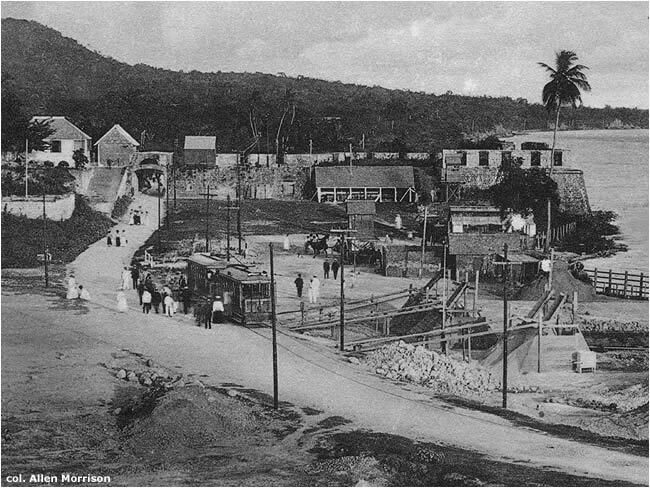 Jamaica, 1920. "Kingston" sheets of large-scale topographical map series show entire tram system, including the suburban lines to Rockfort Spring, Constant Spring and Hope Gardens. 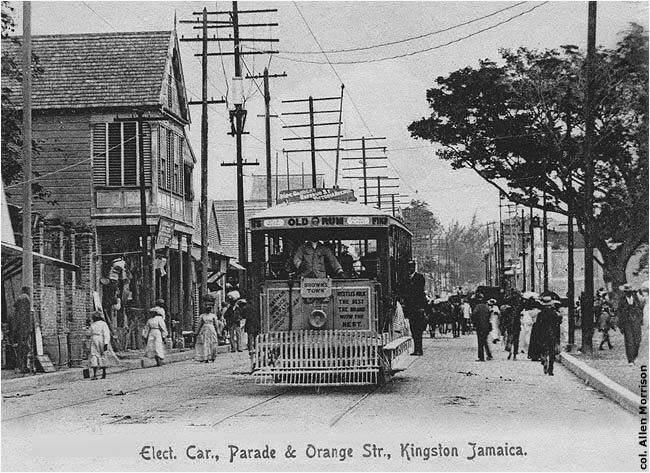 McGraw Electric Railway Directory: United States, Canada, Mexico and West Indies: 1924. New York, 1924. Corporate data and description of installation and rolling stock. U.S. Bureau of Foreign & Domestic Commerce. World Survey of Foreign Railways. Washington, 1933. Rolling stock, system length, track gauge, finances, etc. Canadian Rail Road Historical Association. CRHA News Report #107. Montreal, January 1960. 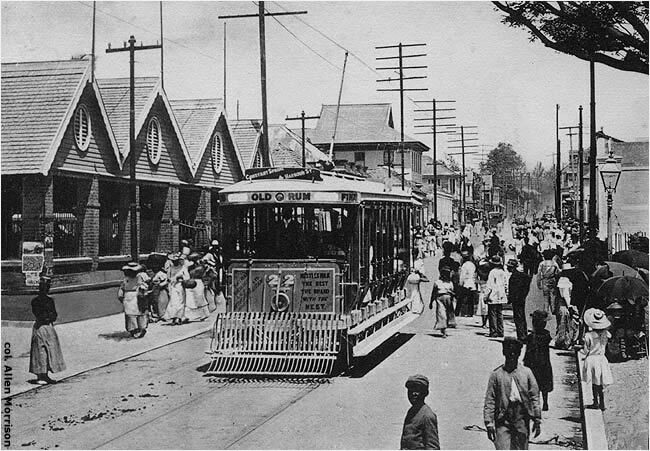 Detailed survey of Montreal's open trams, similar to those that ran in Kingston. E. C. Williams. Jamaica Public Svc. Co. Ltd.: A Short History of its Origin & Development, 1923-1978. Kingston, 1978. 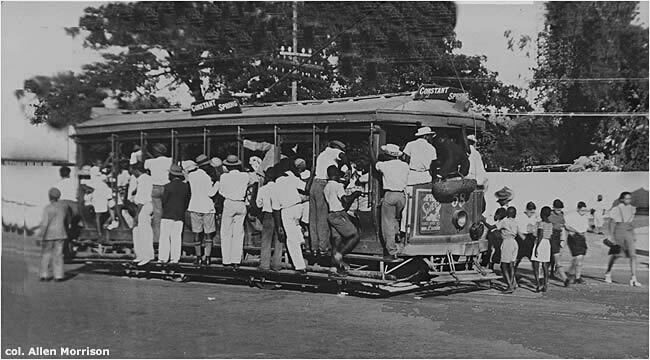 "The Public Transportation Scene", pp. 36-49. Unpublished text by a JPSC officer. 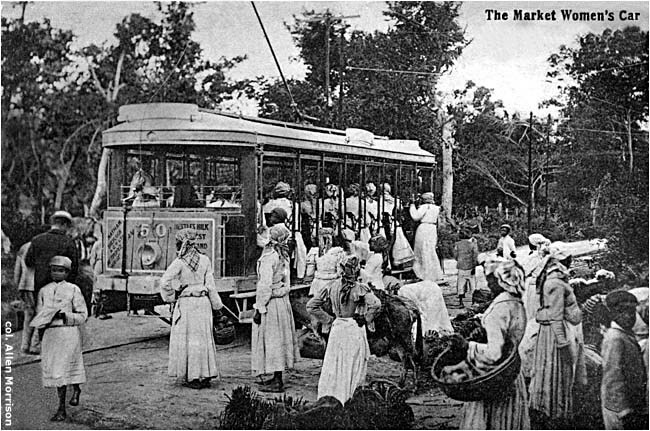 Excellent survey of tramway development. Detailed description of each line, folklore, information about freight equipment, etc. Carol Mae Morrissey. 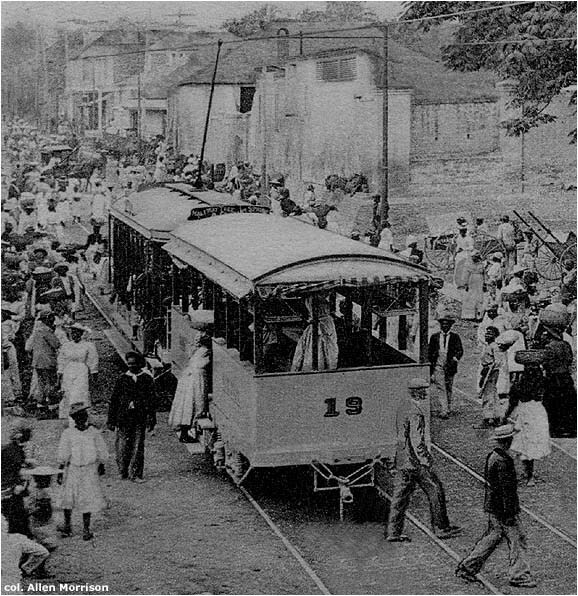 "'Ol' Time Tram' and the Tramway Era, 1876-1948" in Jamaica Journal (Kingston), 11/1983, pp. 12-21. 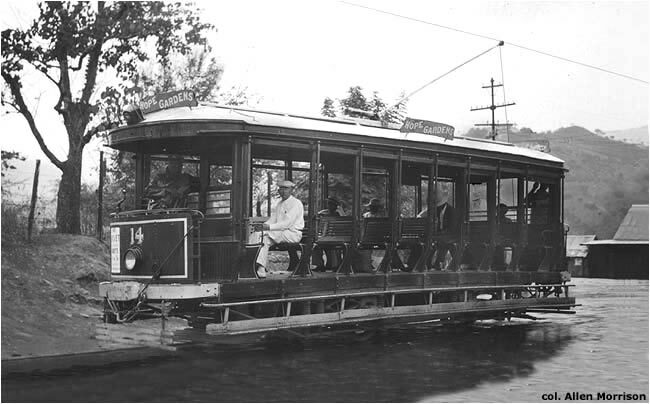 Definitive tramway history with many illustrations and a bibliography (! ).